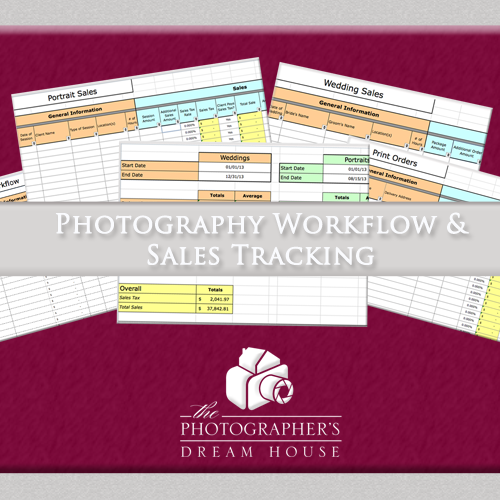 Get more clients by planning out your promotions for your photography business in advance for a calendar year. 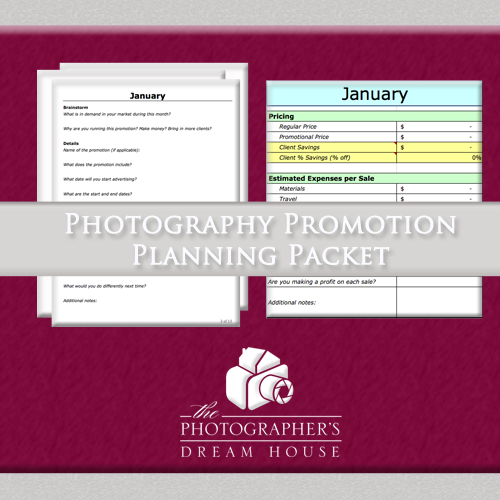 Plan out an entire year’s promotions for your photography business in one simple document. 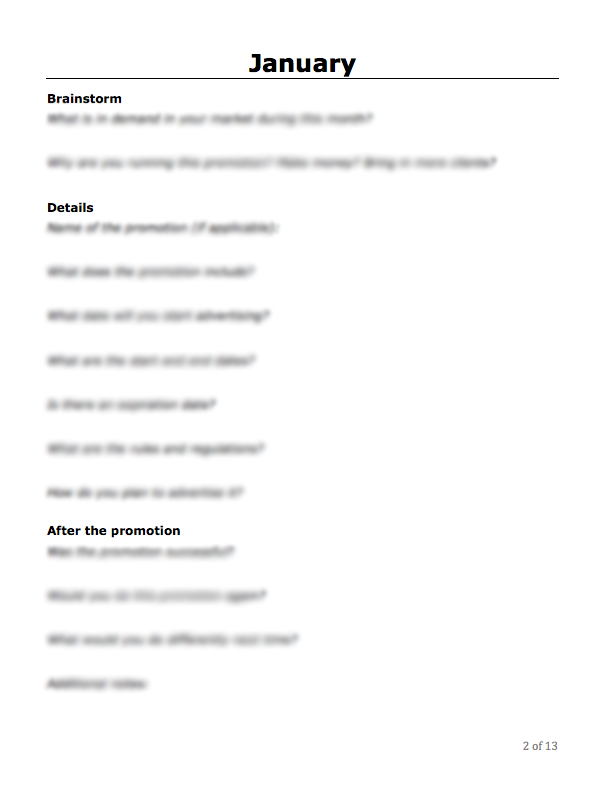 Organize each promotion from start to finish to make sure that no vital details are overlooked. 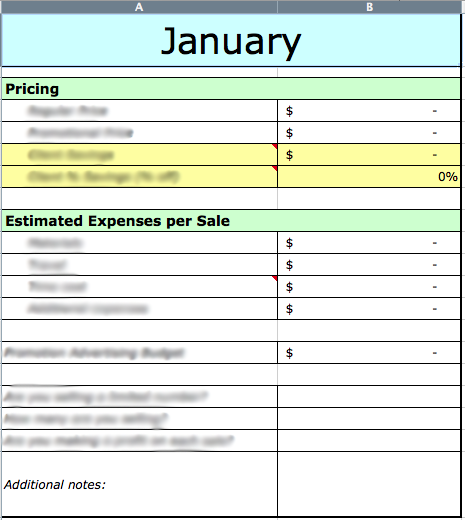 Track your budget for each promotion to ensure you are always making a profit with each sale. 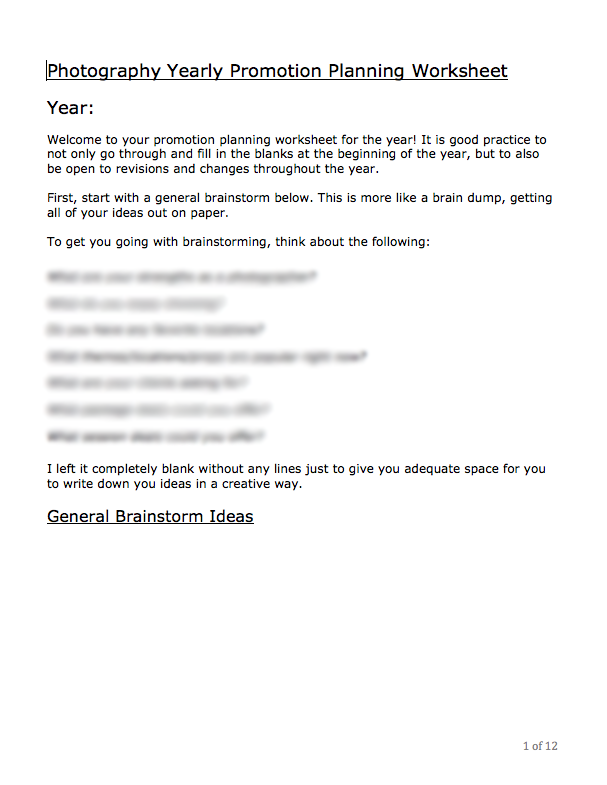 Revisit the document and workbook over the course of the year to make changes and/or adjustments to your promotion plan. 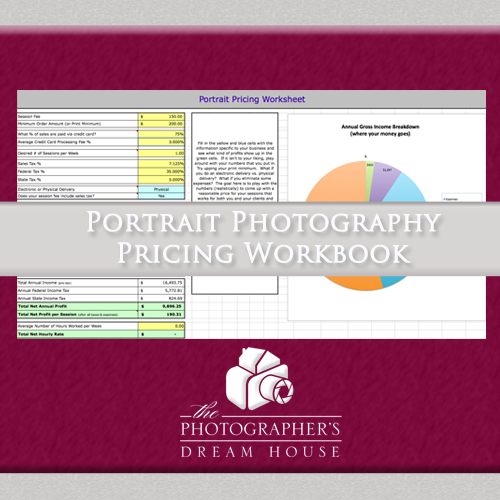 By planning out all of your photography promotions in advance, you are essentially preparing your photography business for success. 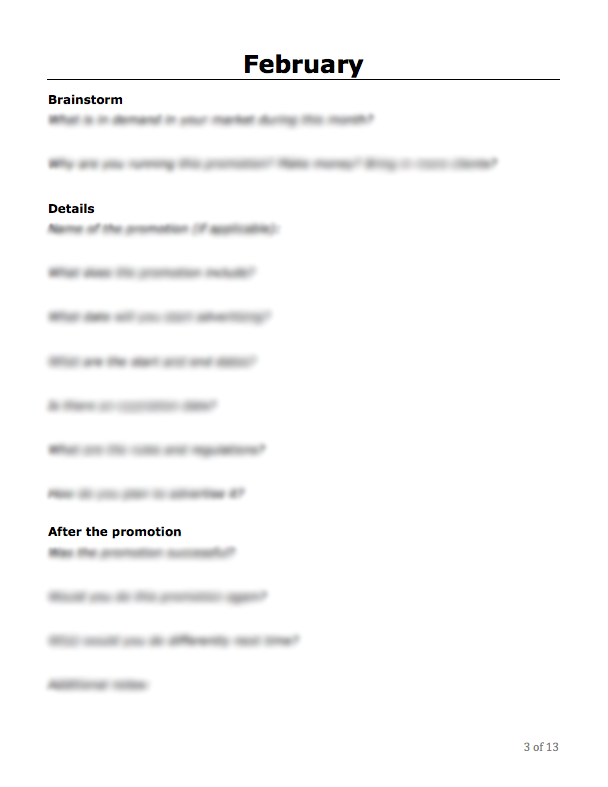 You will get more clients if you have a plan in place vs. randomly running a promotion that may lose your business money or make you look unprofessional. 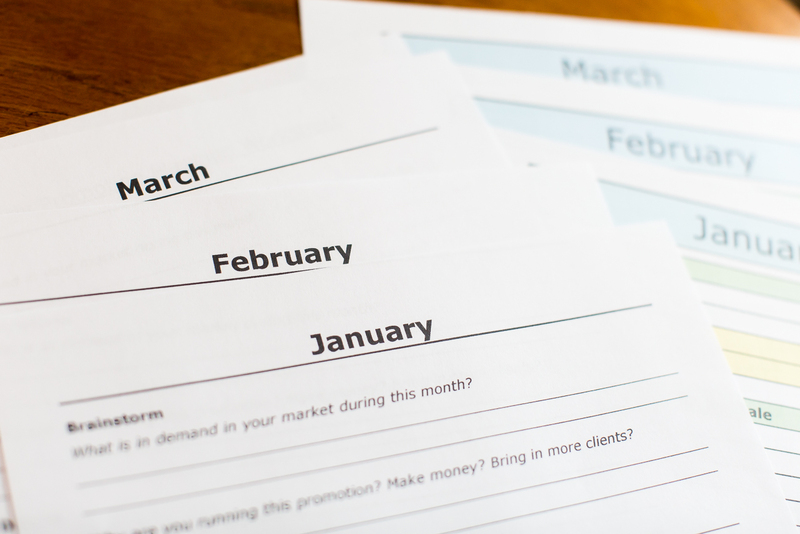 Both the document and the worksheet have every month on a new page or tab, and is easy to navigate while entering in your promotion information. At the start of each year, simply make a copy of the original document and workbook, and rename it for the current calendar year. 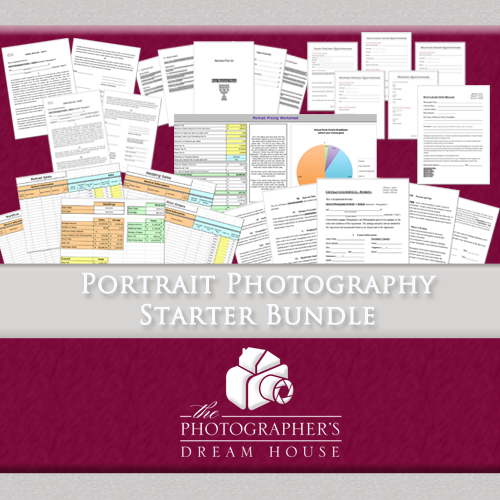 This packet contains tools for your photography business that are not only simple and easy-to-use, but they walk you through every step of planning out a good promotion.